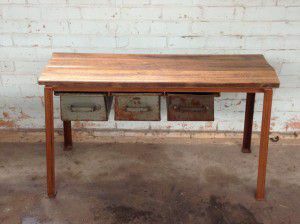 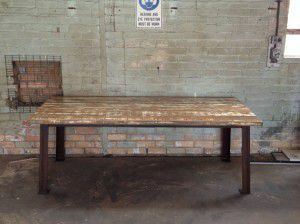 ‘Magnificent dining table made from reclaimed ironbark from a warehouse in Fitzroy, Melbourne. Sits proudly on a rusted steel framework and legs. 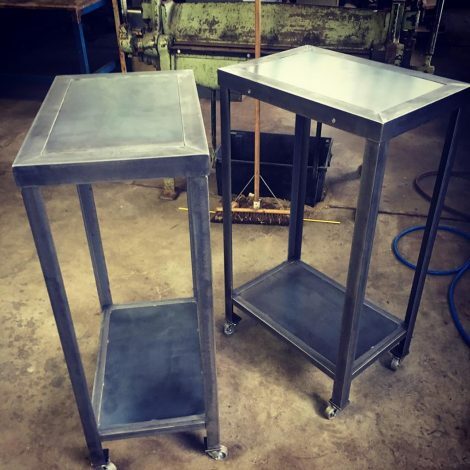 Display boxes custom made with steel frame and base. 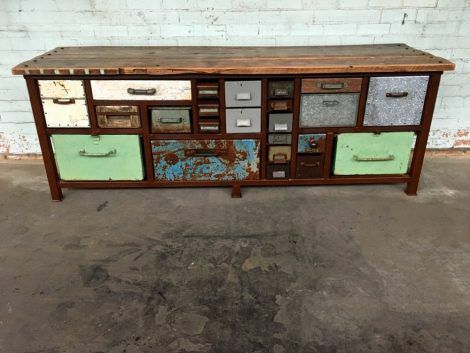 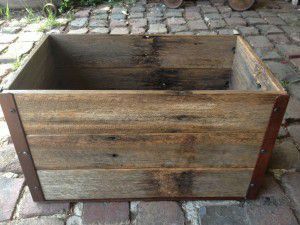 The vintage crate look using reclaimed timber but with strength to hold stock or display pieces. 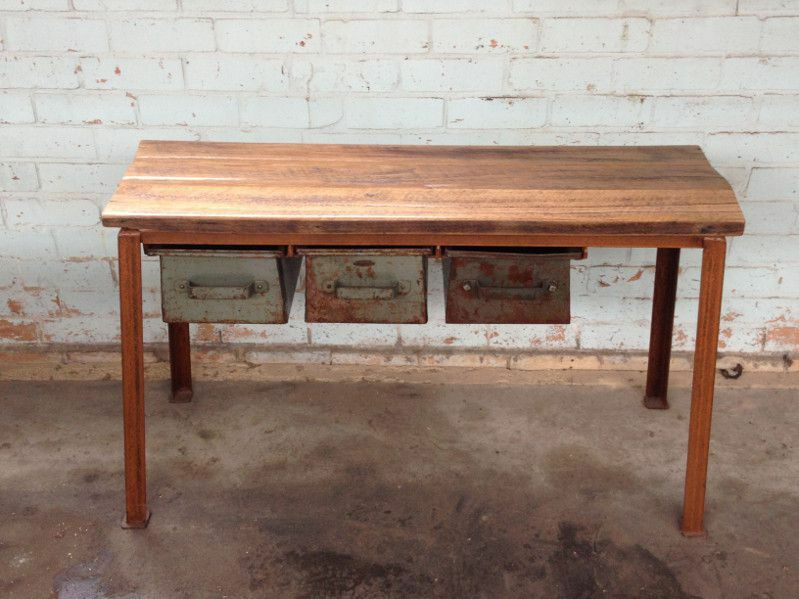 Custom made to any size.